Greetings from SEAS! We have just returned from another successful CES in Las Vegas, and would like to tell you about the new products introduced at the show. These new tweeters offer many of the performance features previously available only in our Excel product line, but at a more affordable price. 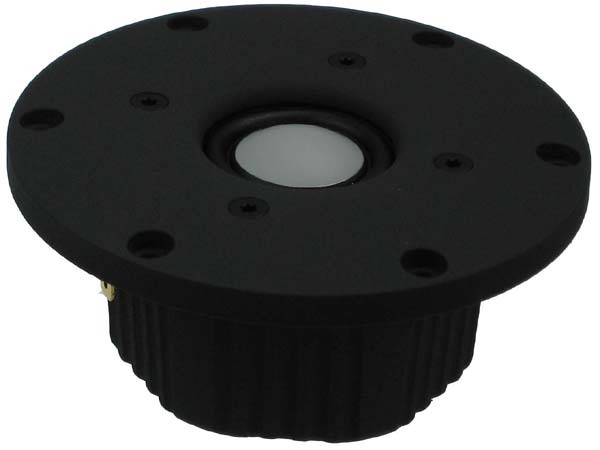 Based on the design used in our T29CF001 Excel tweeter, the efficient neodymium ring magnet system produces very strong magnetic flux for excellent sensitivity. The oversized pole piece opening, combined with a shallow profile, significantly reduces cavity resonances compared to a conventional ferrite magnet system. The solid, black anodized, die cast aluminium rear chamber incorporates integral heat sink fins for excellent heat dissipation. For the first time, we also introduce a newly designed titanium diaphragm, that combines low mass with high stiffness. 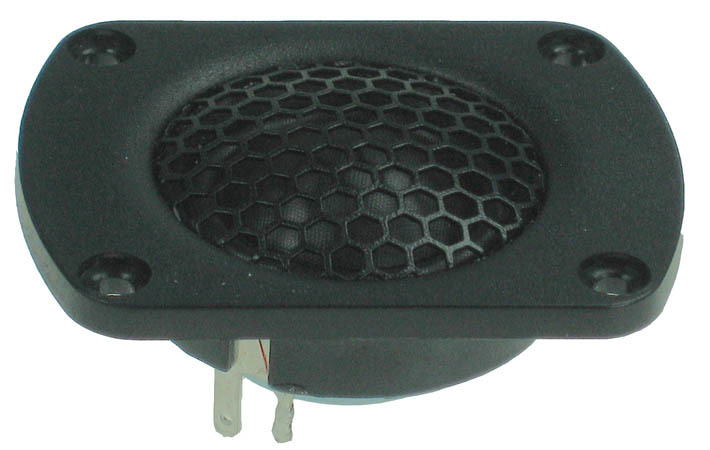 This is a new version of our highly popular and compact rear chamber neo tweeter with performance similar to the 27TFFNC/G (H1396). The curved side, 4 hole mounting system is a physical drop-in for a number of popular “budget” tweeters in the market place. Great for upgrades. These two new woofers are based on a new paper pulp cone filled with reed fibre. Giving both an interesting cosmetic difference and superb acoustic performance, these new drivers offer an excellent alternative for high performance in a soft cone driver. As an additional enhancement, the H1456 also features a copper shorting ring in the magnet system. Custom OEM drivers using this cone can be built in sizes from 12 cm to 22 cm. 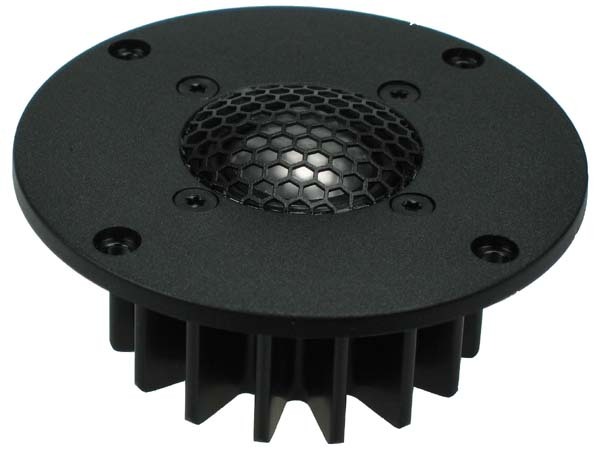 This new High End Excel tweeter features a high purity magnesium dome with keronite coating for excellent stiffness, low mass, and superior internal damping compared with aluminium or titanium. 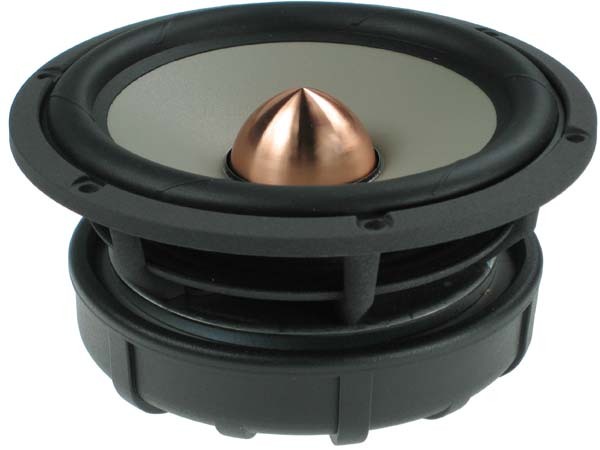 The hexadym motor and ultra rigid chassis components are the same as those found in our top-of-the-line “Crescendo” tweeter. 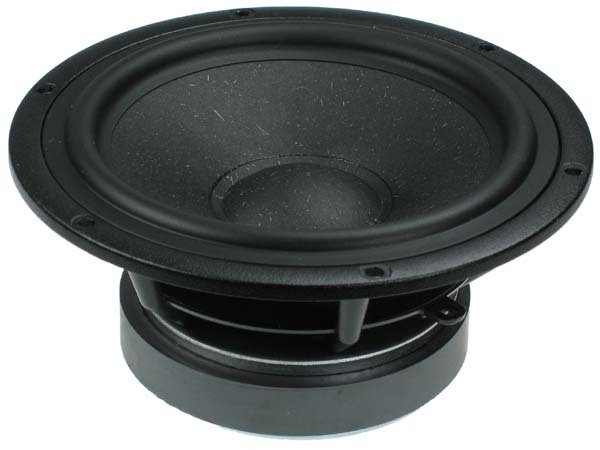 These totally new woofers represent a major step forward in high performance compact driver design. The new basket allows the same long throw excursion capabilities as our 18 cm drivers, but with an outer mounting diameter no larger than our W15CY001. Through careful design of the surround and outer rim mounting system, we have achieved a radiating area that falls right between that of the W15 and W18 drivers. Combined with the ultra long throw capability, these drivers are capable of very impressing bass performance in a compact cabinet. 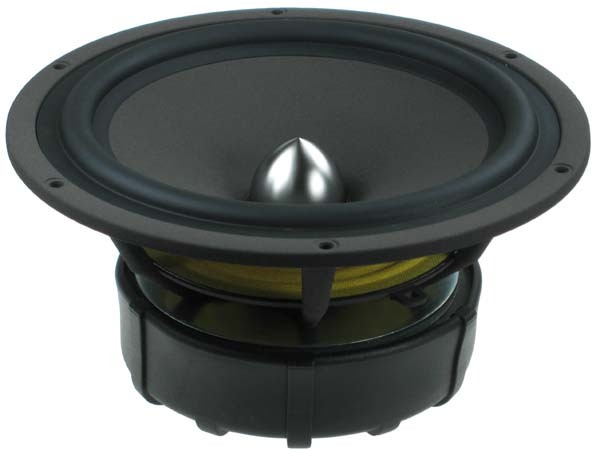 These drivers are offered in both 4 an 8 ohm versions, for use either in single or double woofer systems. This new 22cm Excel driver is the latest addition to our Nextel cone series. Developed over a period of 2 years, it provides a level of smoothness and detail that is truly outstanding in soft cone drivers. With it’s smooth and extended frequency response, low resonance frequency and dynamic range, it makes an excellent choice for use in high performance 2 or 3 way designs. For further details on these new SEAS products, or to order product samples, please contact us.